A little while ago, I was tasked with making a train cake for a 3 year old boy. It just so happened that I had purchased a train cake silicone pan years ago and I had never had the opportunity to try it out. This was the perfect opportunity! Turns out he loved it too! 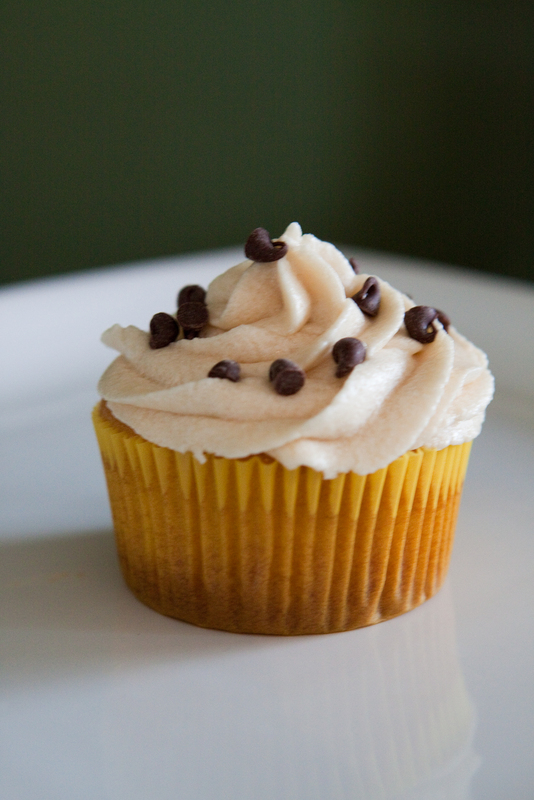 Just for the fun of it and since it is Friday, we decided to try some end of the week celebration cupcakes a.k.a. Chocolate and Peanut Butter Overload. 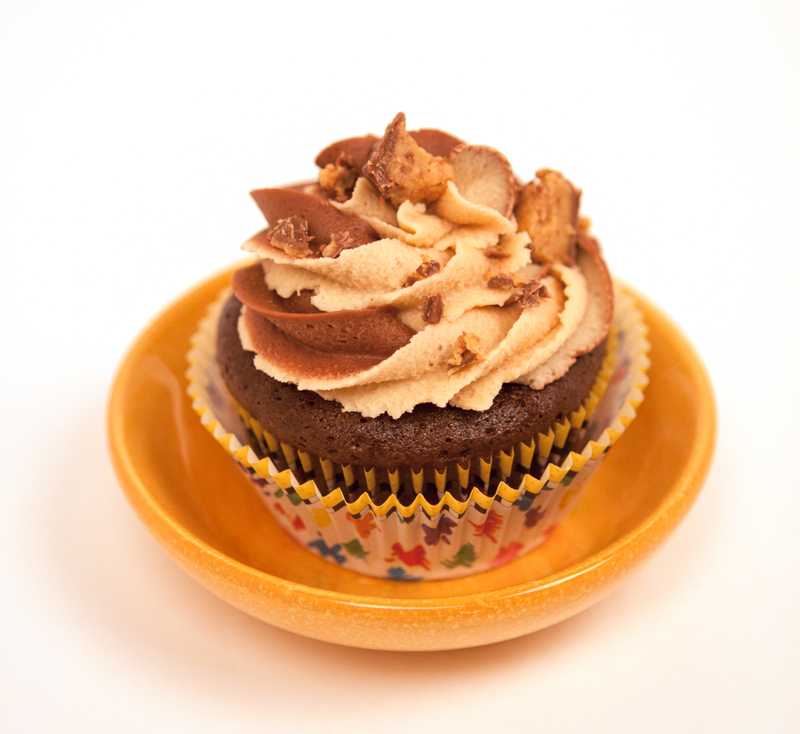 Feast your eyes on this moist chocolate cupcake with chocolate and peanut butter swirl frosting. The suprise inside…a miniature Reese’s Peanut Butter Cup! One of the things I love about summer is fresh strawberries. They are good now from the store but they are way better freshly picked! So in thinking about summer and strawberry season, today’s featured cupcake is a white and strawberry swirled cake with fresh strawberry buttercream. 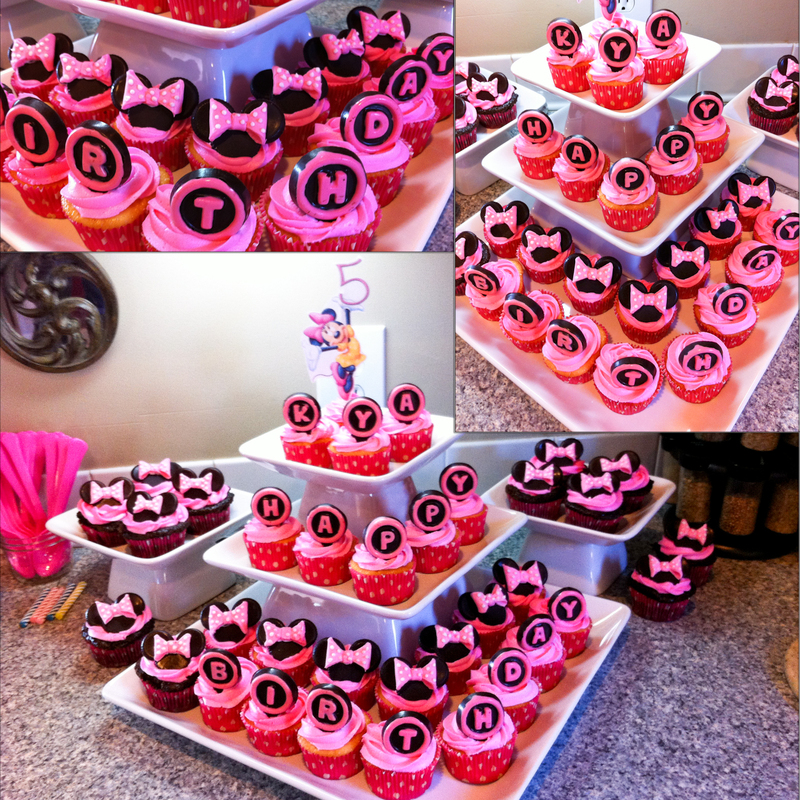 We also make this with chocolate cake and fresh strawberry buttercream. 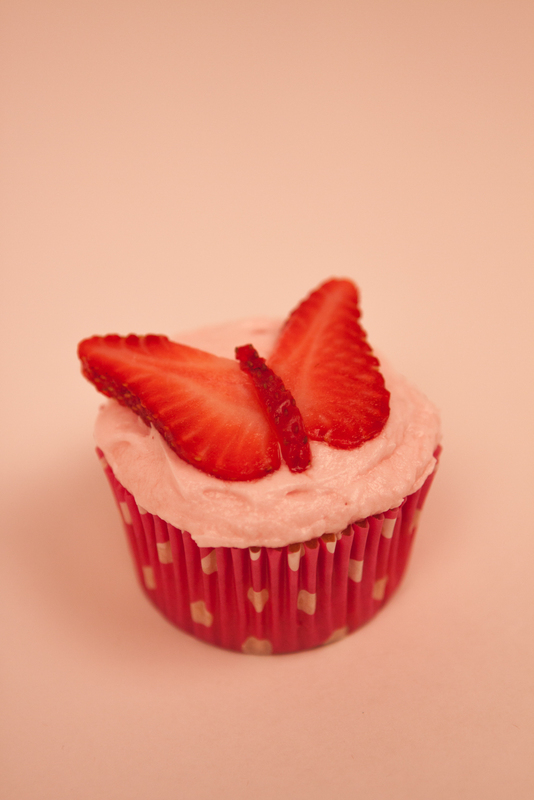 To top it off…a strawberry butterfly! 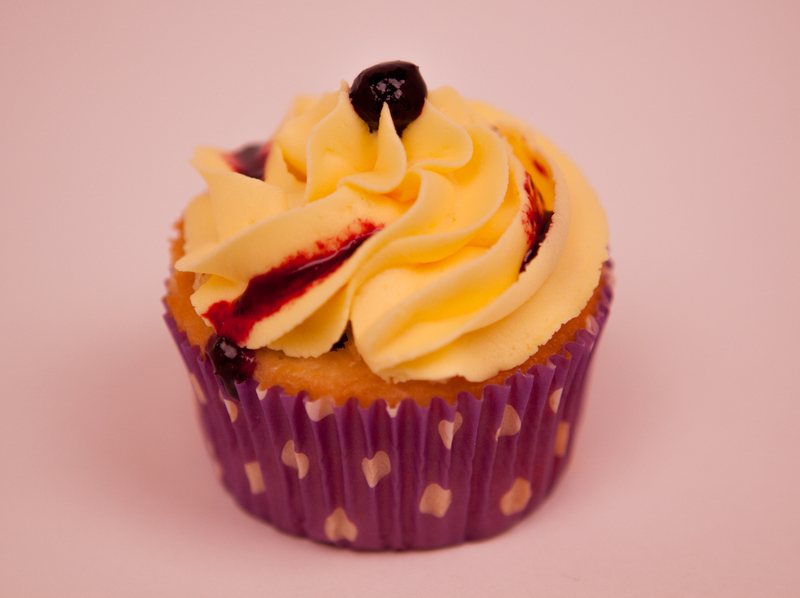 The past few weeks have been quite busy, so we are just now getting the chance to post one of our latest creations – Lemon Blueberry Delight. If you are blueberry lover like me, you will delight in this white cake filled with blueberry sauce and frosted with lemon buttercream frosting. It really is scrumptious! When I think of desserts that my mom makes, one of the first that comes to mind is the classic Apple Crisp. 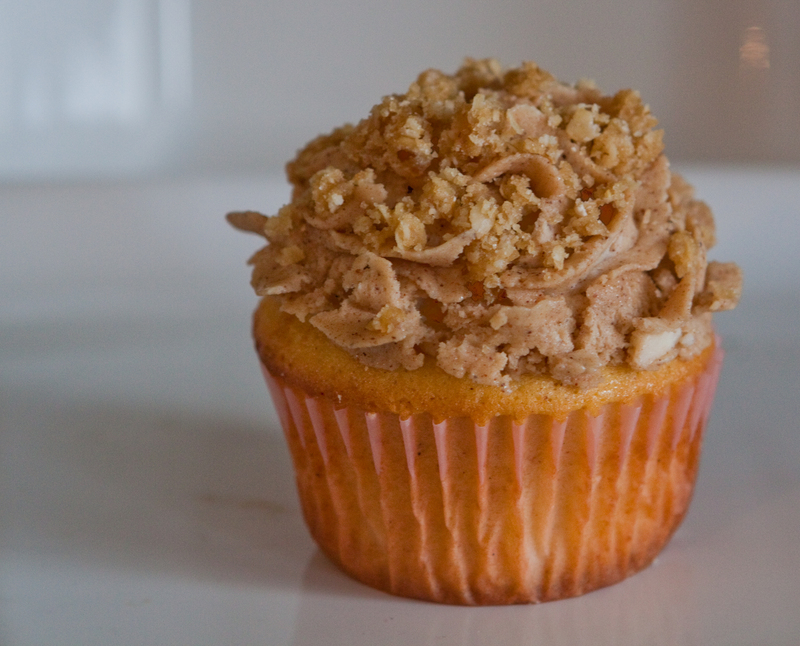 This cupcake is sure not to disappoint with it’s hint of cinnamon in the cake batter, filling of cooked and sweetened apples, cinnamon frosting and oatmeal and brown sugar crumble topping. 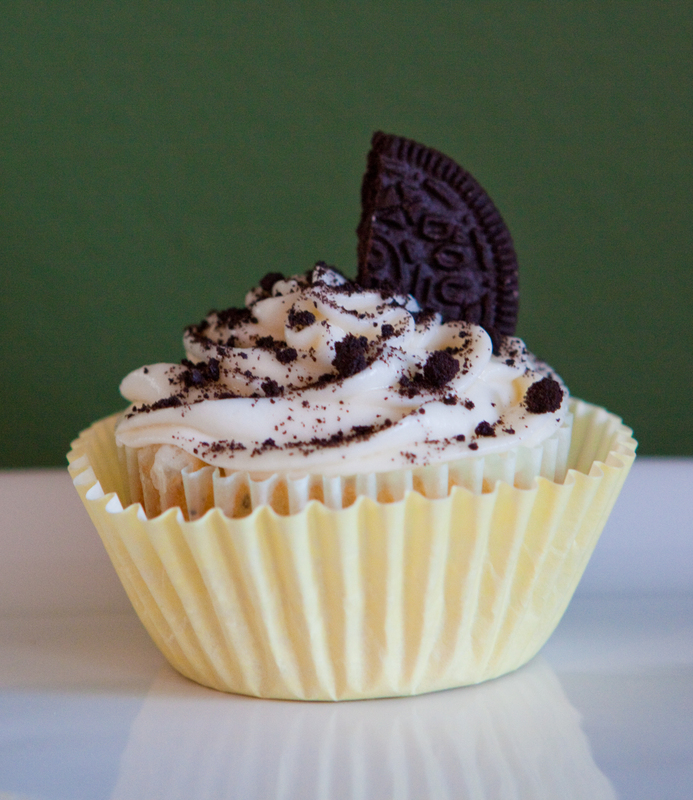 One doesn’t normally think about putting soda in cupcakes, but we thought we would give it a try. A classic soda flavor – orange – seemed like a good place to start. 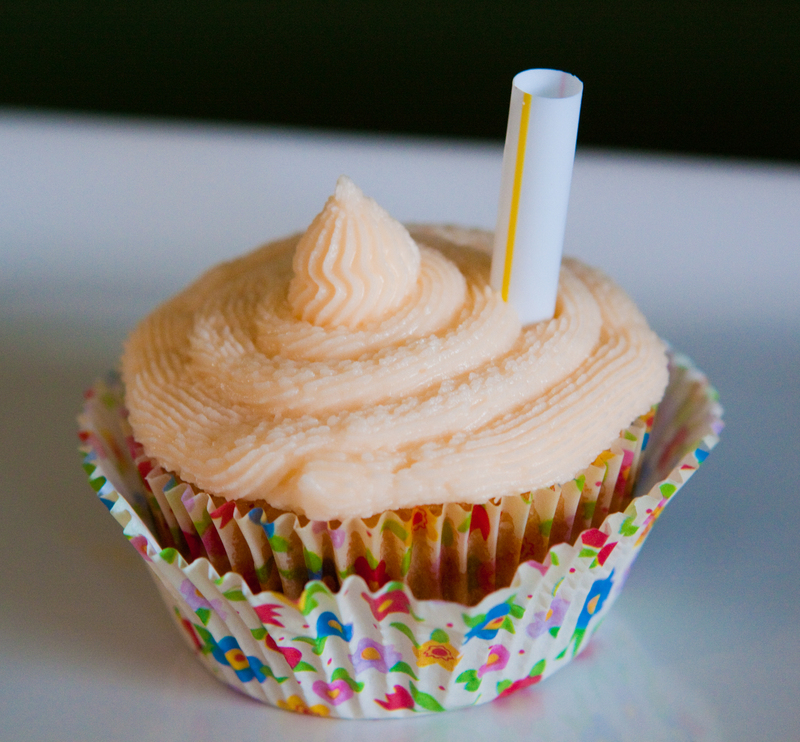 The orange soda gives the cake a subtle orange flavor and the orange soda buttercream frosting brings the flavor out more giving it the reminiscent taste of orange creamsicle.